Discover a galaxy of LEGO® Star Wars™ minifigures in this fully updated and expanded character guide with exclusive LEGO® Star Wars™ Boba Fett minifigure. Meet all your favourites from the Star Wars movies, including Star Wars: The Clone Wars and Star Wars Rebels. Find out fascinating facts about rare and exclusive releases! 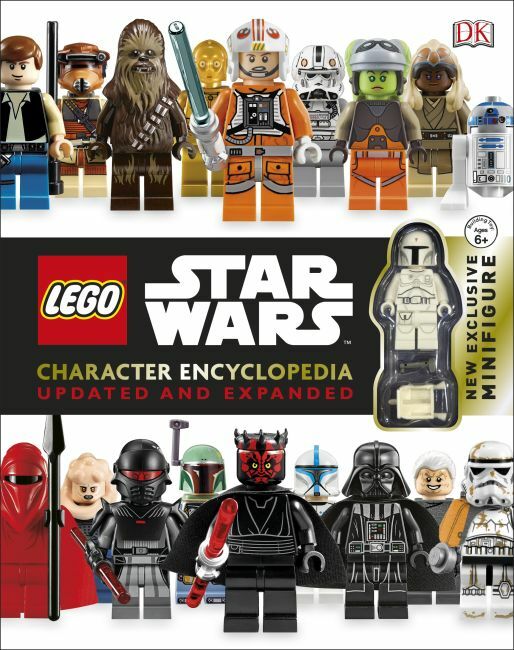 DK's LEGO® Star Wars™ Character Encyclopedia includes all the popular LEGO Star Wars minifigures including Yoda, Darth Vader, Luke Skywalker, Han Solo, and many more. Discover incredible LEGO Star Wars facts, such as which minifigure is the rarest and which can be found in the most LEGO sets.